Did your loved one get moved to a different prison? Do you not where exactly they got moved? You have come to the right place. We know keeping up with where your loved one is while in prison can be an absolute nightmare. However, with this easy search function, it does not have to be anymore. This search function will not only save you from pulling out your hair and having a long day of phone calls; it will also give you all the information on how to get in contact with your loved one all in one seamless place. What more could you possibly want or need? What Exactly is The Correctional Facilities Locator? 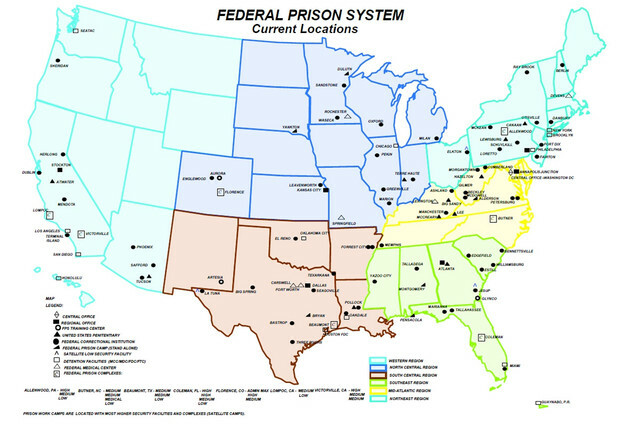 The correctional facilities locator is a tool that can help you locate inmates in either federal or state prisons. It brings the list into one. For instance, if your loved one was in a federal prison, you would need to look up the federal bureau of prisons (fbop), to locate them. While if your loved one was in a state prison, you would need to use your state's department of corrections database. However, if you don’t know if they are in a federal or state prison, this can be your worst nightmare. By using our correctional facilities locator, you don’t have to worry about what type of prison they are all combined. When looking up to see where your loved one got moved to, it’s quite easy. All you need is the inmate's full name (first and last), birth date, gender, and age. If you can supply that information, we can find where your loved one is located. Then we can provide you with the necessary tools where you can be able to contact them, send money/letters, and where and when you can visit them. Can You Search by State? Are there a few John Doe’s in prison? Don’t have the time to narrow down your John Doe? You can certainly narrow down your search by state. It’s highly recommended. The more information that you can give about your inmate the better the search results, you will get. I Found Them! What Else Can I Do? After you found where they are located, the next part is easy. We supply you with all the information you will need. You will get information on the prison itself. You will know where it’s located, their telephone number, and how you can get in contact with your loved one. If they offer visiting at the prison, that information will be readily available. Their mail system information will be readily available, so if you would like to send mail, you can. Their requirements for what you can and cannot send will be displayed. If you would like to phone them, that information will be readily available as well. All information on how to get in contact with your loved one will be displayed. The days of phoning the department of corrections and being on hold for umpteen hours are a thing of the past!